Headlines, hot news, and conversation starters on November 10, 2014! 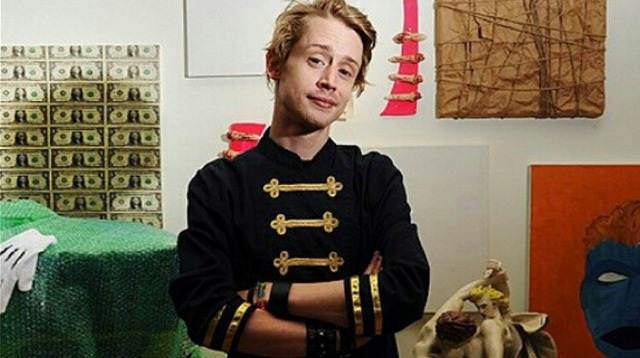 1 You probably read news over the weekend via social media that Macaulay Culkin passed away. Thank goodness it was just a hoax, as the 34-year-old former child star was spotted performing with his band Pizza Underground over the weekend. He even posted this on their Instagram page, with the caption: "We're on tour you silly people." 2 Marian Rivera and Dingdong Dantes visited Dubai to visit designer Michael Cinco’s atelier. Michael posted this photo collage on his Instagram account with the caption: “The beautiful couple Marian and Dingdong visited my atelier for Marian's wedding dress fitting...@therealmarian @dongdantes...” OMG we can't wait to see Marian walk down the aisle in her Michael Cinco creation! 5 These two girls did a violin cover of Taylor Swift’s “Shake It Off” and it is ABSOLUTE PERFECTION. Excuse us while we crazy dance to this cover for a great Monday morning.